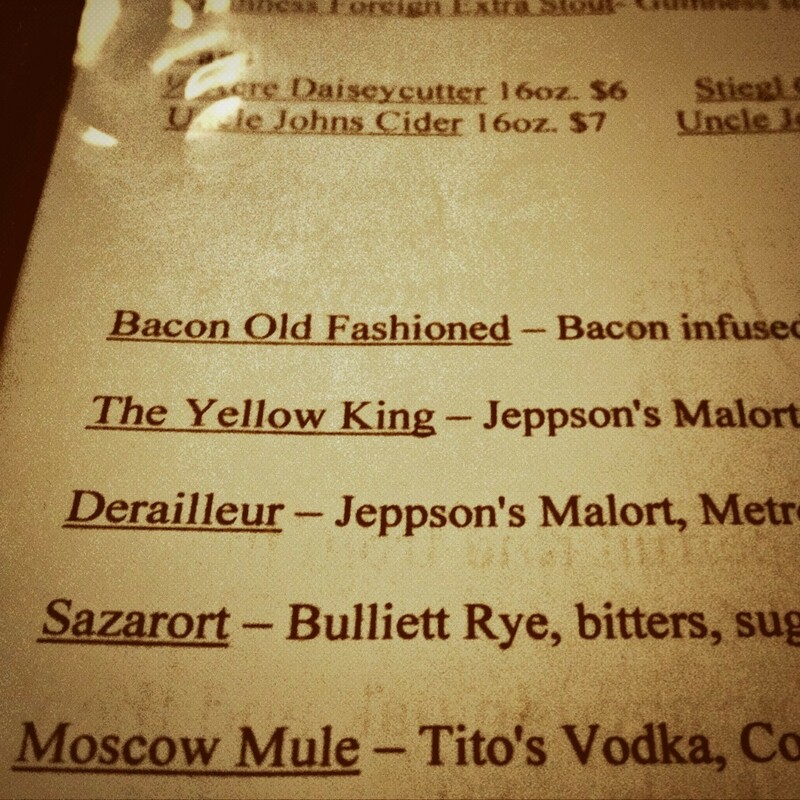 Around the time that True Detective’s first season finished, I spotted The Yellow King cocktail at Paddy Long’s here in Chicago. Naturally, I ordered it — bitters, bitter liqueurs, and fortified wine, if I remember correctly. Not sure how many other folks would enjoy the dry & bitter nectar of Carcosa, but I loved it.